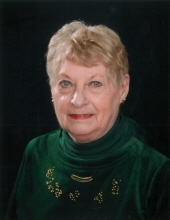 Virginia L. Beers, 86 of Franklin, passed away on Saturday, February 2, 2019 in the early hours of the morning at the UPMC Montefoire Hospital in Pittsburgh, surrounded by her loving family. Born on January 26, 1933 in Oil City, she was the daughter of the late Edward M. and Elizabeth (Schelling) Pfendsack. She was a 1951 graduate of Oil City High School. On November 11, 1955, she married the love of her life, Harold Beers; he preceded her in death on April 6, 2018. Virginia worked at Quaker State for 8 years before devoting her love and energy into raising a family. In her spare time, Virginia kept herself busy with a variety of hobbies and pastimes. She was a member of the First Presbyterian Church of Franklin, where she served as a deacon at one time. Virginia was also a member of the National Honor Society, enjoyed bowling on the Elks Club bowling team, crossword puzzles, sewing, crafts, and camping. Most of all Virginia cherished the time she spent with her family and friends. Virginia is survived by her two sons, Mark Beers (Val Jean) of Franklin, and Gary Beers of Meadville; her daughter, Shelley Readel of Erie; her grandson, David Beers (Kristen); her step-grandson, Linn Campbell (Krissy) of Seneca; and her 5 great-grandchildren. In addition to her parents and husband, Virginia was preceded in death by her brother, James S. Pfendsack. Family and friends will be received on Wednesday, February 6, 2019 at the Gardinier Funeral Home, Inc., 1315 Chestnut Street, Franklin, PA 16323, from 2 pm to 4 pm and 6 pm to 8 pm. Funeral services for Virginia will be held on Thursday, February 7, 2019 at the Gardinier Funeral Home, Inc., starting at 10 am, with Reverend Barry Jenkins, pastor of the First Presbyterian Church of Franklin, officiating. In lieu of flowers, the family suggests donations be made to honor Virginia to the Sandycreek Volunteer Fire Department, 624 Congress Hill Road, Franklin, PA 16323. To send flowers or a remembrance gift to the family of Virginia L. Beers, please visit our Tribute Store. "Email Address" would like to share the life celebration of Virginia L. Beers. Click on the "link" to go to share a favorite memory or leave a condolence message for the family.